The Christadelphian Office proudly boast of these proposed future crimes against humanity and even publish such material online! So how does one attempt to review a "Foundation Work" that is written by a psychopath, mostly ignored by the Christadelphians? The answer is that you review it in such a way as to advocate that it be withdrawn from sale as no longer suited to our age. "The Lord Jesus will be revealed....... taking vengeance on this unbelieving generation. The vengeance in relation to mankind as a whole will be destruction to the majority, and discipline to the remnant. Multitudes will perish by war and pestilence; multitudes more will fall victims to the fire which will descend, after the manner of the judgments upon Sodom and Gomorrah, and the flames that consumed the military companies that went to bring Elijah from the top of the mount. "The slain of the Lord shall be at that day from one end of the earth even unto the other end of the earth." "The earth's population will be greatly thinned; its reprobate elements expurgated, leaving a residue composed of the meek and submissive, and well–disposed of mankind, who will constitute the willing subjects of Messiah's kingdom....... The governments of the earth will struggle with desperation to preserve the human regime from threatened annihilation. They will fight to the last, and will hope till expiring hope goes out in the complete triumph of the Lamb, "who shall overcome them." During the interval which will thus be occupied, a righteous and submissive people will be developed by means of the judgment manifested who will be glad to hail the inauguration of the new government"
This is palpable nonsense. If the United Nations convened to discuss the return of Christ and if Christ were to provide convincing evidence of his identity and paranormal power to the General Assembly, there is no doubt that his claims and proposals would be taken seriously and welcomed by the overwhelming majority of delegates. There would be no requirement for the wholesale slaughter that Robert Roberts is advocating in this book. He is manifesting some sort of manic Victorian British paranoid obsession with slaughtering unbelievers that is quite divorced from the reality of what is likely to happen. It has nothing to do with expounding Scripture; but more to do with Robert Roberts displaying a serious personality disorder that is objectionable to modern day readers. When Roberts was alive his enthusiasm in disfellowshipping Christadelphian believers who slightly differed from his understanding of Bible teaching over trivial matters and his insecure, paranoid and inappropriate reaction to brethren who were his intellectual superiors, was a further manifestation of his inability to control failings in his own character. In my view the man was a poorly educated control freak who easily felt threatened. His employment as a phrenologist (making predictions and defining character based upon the bumps on people's heads - like a clairvoyant reading a palm) says everything that needs to be said about Roberts. How can we respect or trust someone like that? "What will be the position of Christ's own people at this crisis? ................... It is clear that they are not left among the nations during this dreadful time of trouble. ........... The saints co–operate with Christ in executing the judgments written. This honour is in reserve for them all. It will be their privilege "to execute vengeance upon the heathen, and punishments upon the people; to bind their kings with chains, and their nobles with fetters of iron; to execute upon them the judgment. ........ Thus it is obvious that in the closing judgment–scenes of this dispensation, the saints will be associated with the Lord Jesus in destroying the political, ecclesiastical, and social systems which aggregately constitute "this present evil world." This is a work of devastation for which the mere religious sentimentalists of the age would be unfit. It will involve much destruction of life, after the wholesale example of the flood, and develop a time of trouble, such as never has been witnessed since there was a nation on earth. ....................... Widespread will be the desolations produced; bloody and scathing the judgments ministered at the hands of Jesus and the saints." This fantasy global genocidal Jihad has no place in a modern religion. It should be repudiated by modern day Christadelphians and expunged from works like Christendom Astray. Moreover one is left wondering if we can place any credence on the rest of the Biblical exposition of Roberts when we see his evident glee in the coming bloody annihilation of large parts of the non-Christadelphian peoples of the Earth. Clearly he is fantasising in a dysfunctional manner in chapter fifteen. What does this indicate for his authority in expounding prophecy and doctrine in other sections of the book? Was he mentally stable? 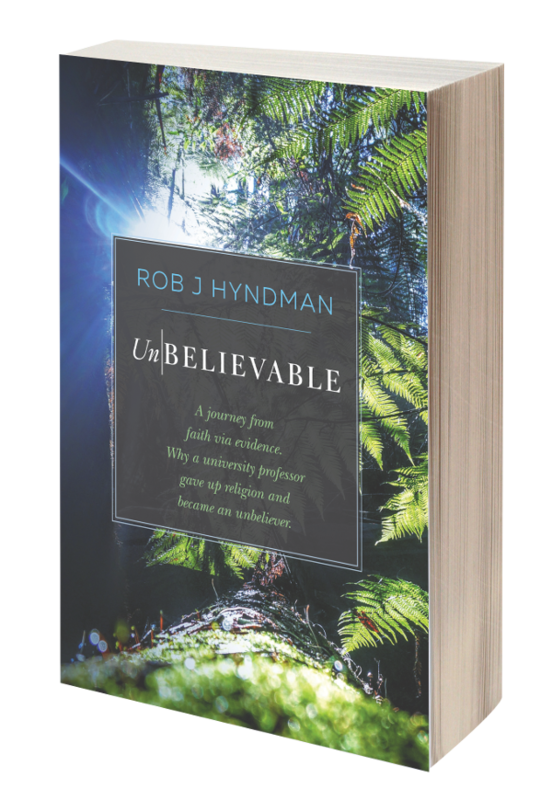 Why is the Christadelphian office selling this book? Have any of the trustees of the CMPA even read it? Another concern is that Roberts anticipates that the nations of the World will be innocent and unknowing during their own genocide. In the following passage he states that the peoples of the World, who he proposes that Christadelphians will kill, will not even know that a divine hand is behind their destruction. How can they be guilty if they are unaware that God is their enemy? "(The Non-Christadelphian peoples) will only look to its proximate cause. They will never suspect that a divine hand is guiding the development of events. .................. They will never dream that the world is on the verge of the most awful crisis that has ever occurred in its history--that divine indignation, long restrained, is about to visit the world in destroying judgments that will break up the entire system of human society, as politically, ecclesiastically, and socially organised." In summary, Roberts is proposing genocide of billions of our fellow citizens, carried out by Christadelphians led by Christ, even though they are not aware of why they are being slaughtered or by whom. Compared to this sort of outrage, at the resurrection, Adolf Hitler and Stalin will probably win the Nobel Peace Prize! Should this work be withdrawn or edited by the Christadelphian Office? Certainly it needs to be edited to bring it into line with more enlightened up to date Christadelphian thinking. But extensive editing of foundation works like this can lead to a less than genuine result. In other words, it is perhaps necessary for the modern day reader to know the truth of what was originally written by the founders of the faith so that they can better judge for themselves what authority they might attribute to the writer. To "clean up" Christendom Astray would be to alter the work into something that the original writer did not intend and that he would have strenuously opposed if he were still alive. Do we have the moral right to do that? Would it not be more honest to simply withdraw the book from publication and replace it with something more attuned to current day Christadelphian thinking? Christadelphians have such works and they are already used in place of Christendom Astray. Why do they need this morally corrupt book representing ideas that they reject? This book should be withdrawn from sale and the stock disposed off on a landfill site. Because its contents are morally objectionable and because the overwhelming majority of Christadelphians would not agree with its contents, they don't read or refer to it any more and most of them don't even know of its existence. It is not a "foundation work" of the Christadelphian faith; it has become a shame and an embarrassment to the religion. So he predicts that the Christadelphians will be the immortal immoral of the future age. Yes it's obscene and yes you can read it free of charge at the CMPA website. It is not possible to be able to judge God correctly or to know what he is on about unless you first correctly understand the "atonement", which simply means what God has done in Christ on behalf of mankind. It is not good enough to take an atheistic stance simply because the religion turned out to be corruptive. You also have to first understand that, through this religion, God has been misrepresented. Christadelphianism has hidden the true nature of God and Christ from its adherants and the end result is loss of faith in God when it should have been only loss of faith in Christadelphianism. 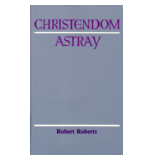 "Christendom Astray by Robert Roberts is infinitely worse. It advocates the genocide of a large part of the non-Christadelphian population of the World to be carried out by Christ and the Christadelphians at some time in the future." As I recall, is it not 'the saints of the most high God' which will pour out the punishments upon the people and engage the armies of the nations?